Anarkali bazaar is an important bazār in Lahore, Punjab, Pakistan. 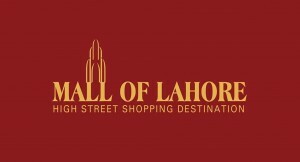 It is one of the oldest surviving markets in South Asia, dating back at least 200 years. 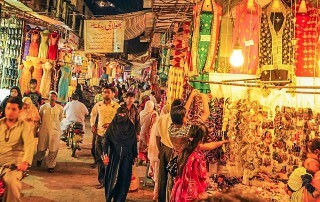 Anarkali Bazar is the oldest bazaar of Lahore, Pakistan. It sells textiles, garments, jewellery, and many other items. 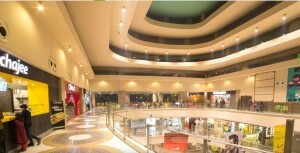 Anarkali Bazar is divided into two portions, the Old Anarkali Bazar and the New Anarkali Bazar. The Old Anarkali Bazar is noted for traditional food items while the New Anarakli Bazar is noted for its traditional handicraft and embroidery cloths.